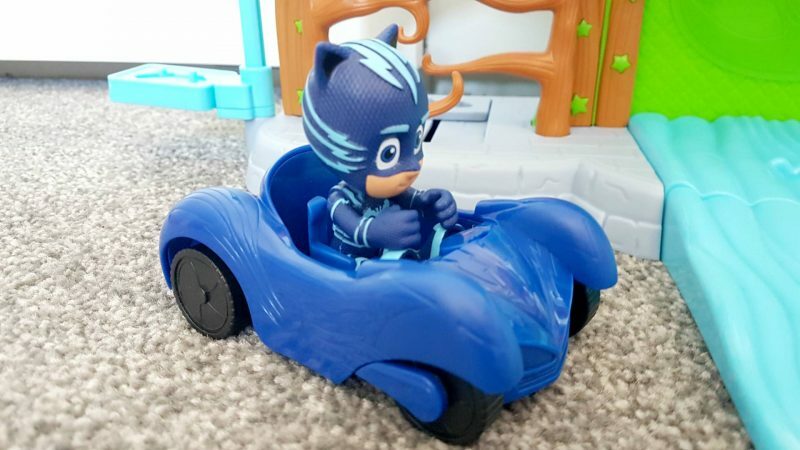 PJ Masks, the Disney Junior favourite follows the fun tales of friends, Connor, Amaya and Greg who change into their alter-egos Catboy, Owlette and Gekko at night and become PJ Masks. They use their special powers to defend their town from their evil nemesis, Romeo while solving mysteries and having adventures. 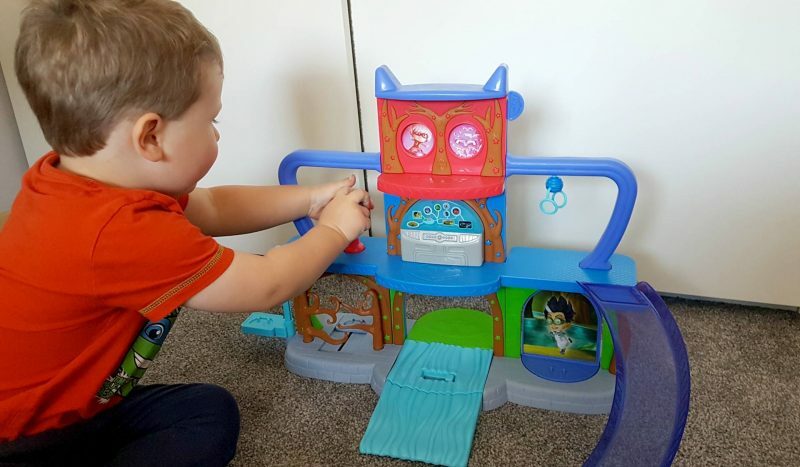 The little man is a huge fan of PJ Masks and super catchy theme tune and was recently sent the PJ Masks Headquarters Play Set to review. 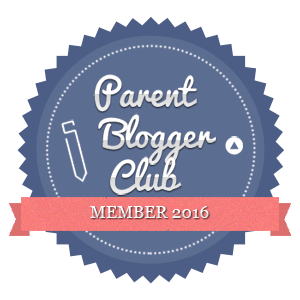 The playset from Just Play is brand new for Autumn 2017 and I imagine it will be a very popular Christmas gift. Set over multi levels, the plastic playset is the perfect size for younger children. It’s very easy to put together and comes with batteries so there’s no hanging round when the box is opened. 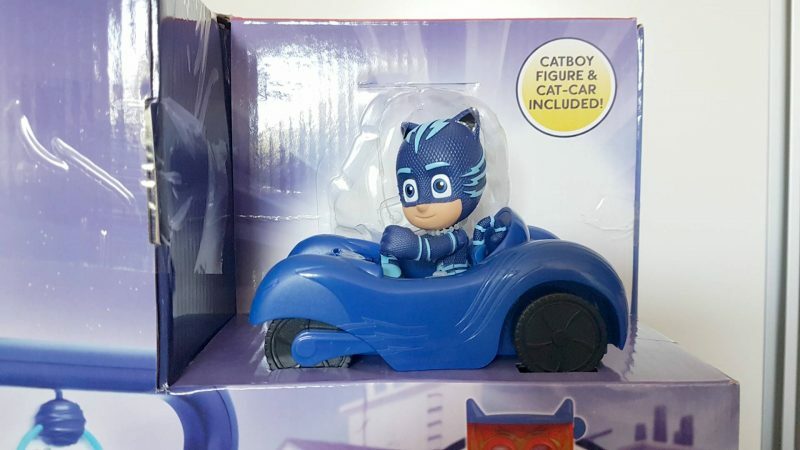 Catboy is the only character included in the set. He comes with his blue car but I think the little man was a little disappointed that there were no other characters included in the box. I’d have liked to see the other two main PJ Masks characters, Owlett and Gekko too. However, there is a large set of 16 PJ Masks figures which you can buy for a further £34.99. 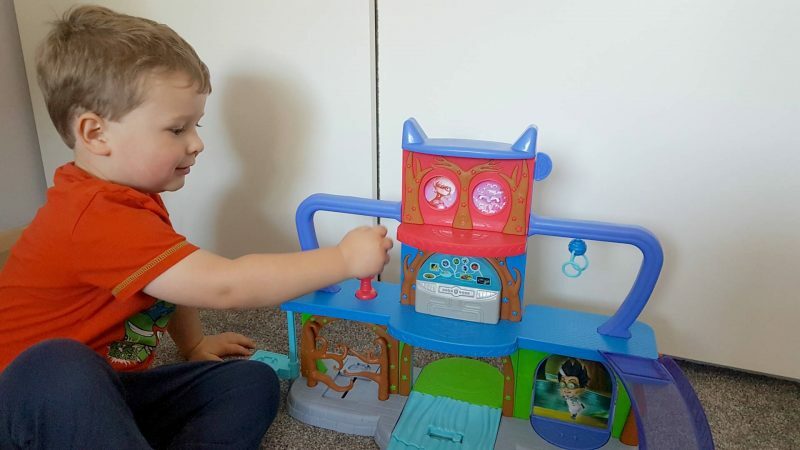 The playset is perfect for interactive play and the little man loves recreating his own scenes from PJ Masks and pressing the buttons on middle console. As well as lights and sound, the playset features a fur-ball shooting spy scope ( quite possibly the little mans favourite part, especially when it hits Mammy! 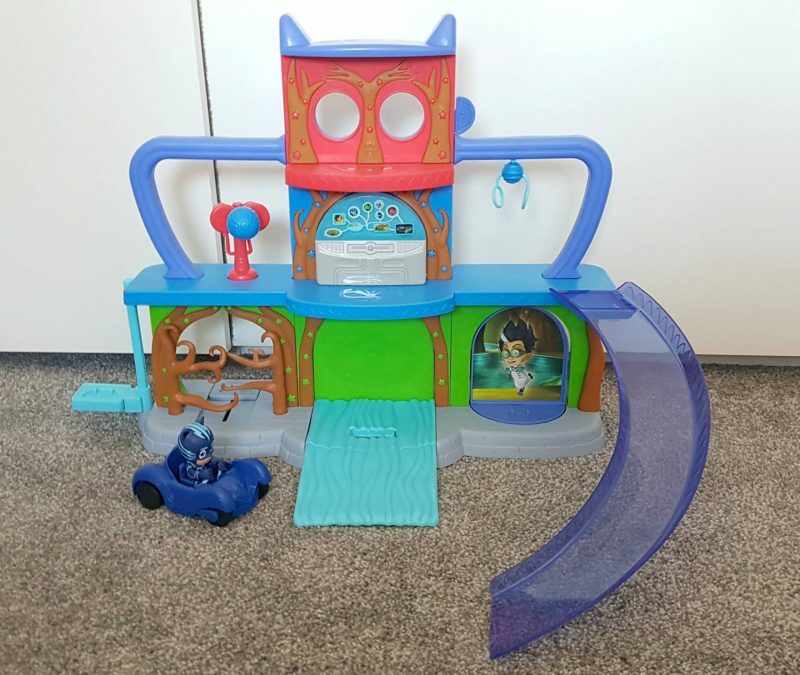 ), training rings for your Catboy figure to cling onto, a small elevator platform to help Catboy move between the levels, movable tree snarls to trap any villains and the Super Gekko slide which is perfect for sliding the Catboy figure down. 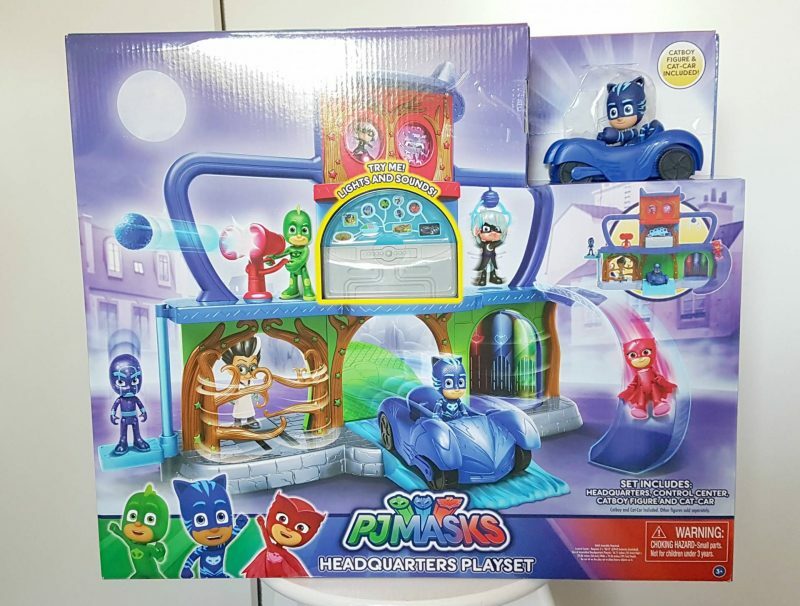 The little man really likes the PJ Masks HQ playset and we’ve already purchased the additional set of figures for Christmas. 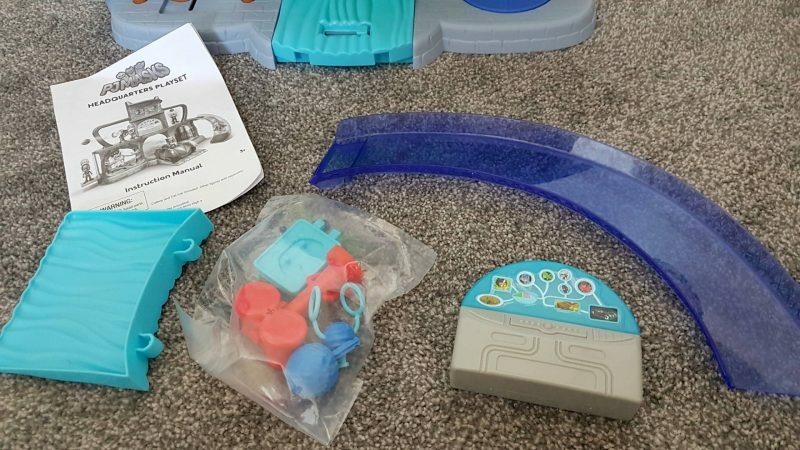 The playset, despite being made of plastic is robust, well made and packs away nicely due to the narrow width of the design. 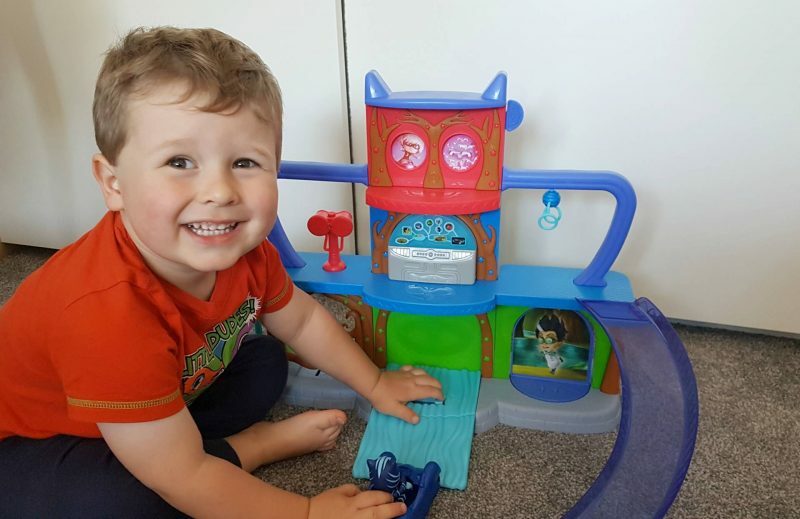 The little man has played with the playset pretty much every day since it arrived, he uses the figure and car included but also enjoys using his animal and dinosaur figures and toy cars too. 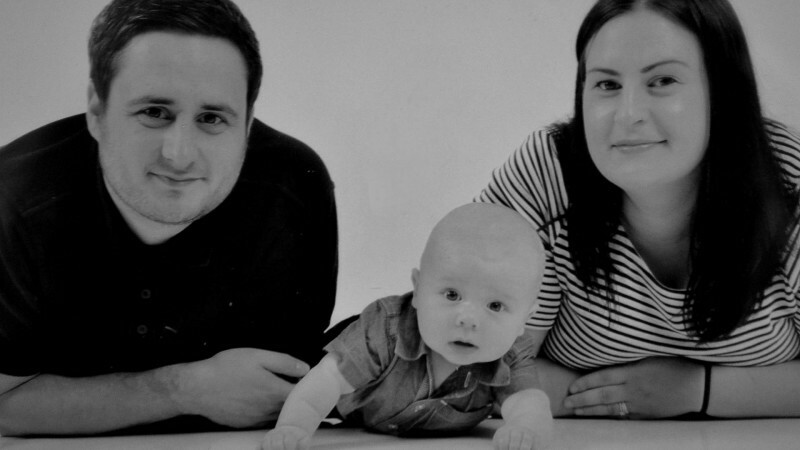 It encourages him to be imaginative and creative and I love to hear him chatting away while playing. The set is suitable for children three years and above and retails at £49.99 which I do think is a little pricey. Had the other two main characters been included in the set then perhaps the value for money would have been better. I imagine any little PJ Masks fans would want the extra figures so you’ll need to factor this extra cost in. Just Play also sell other PJ Masks themed products such as blind bags, dress up clothing and soft toys – ideal if you have a PJ Masks super fan! 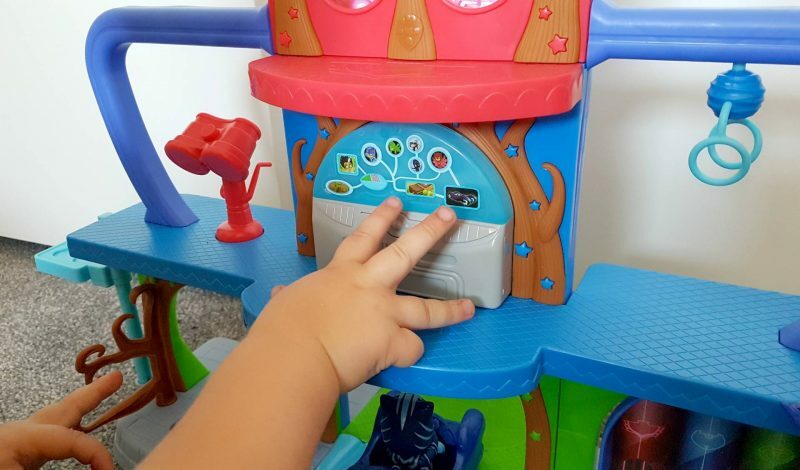 We were sent the playset in return for a honest review. Previous Post Do you have a career you love? Next Post TELETUBBIES BIG HUGS CD REVIEW & GIVEAWAY!